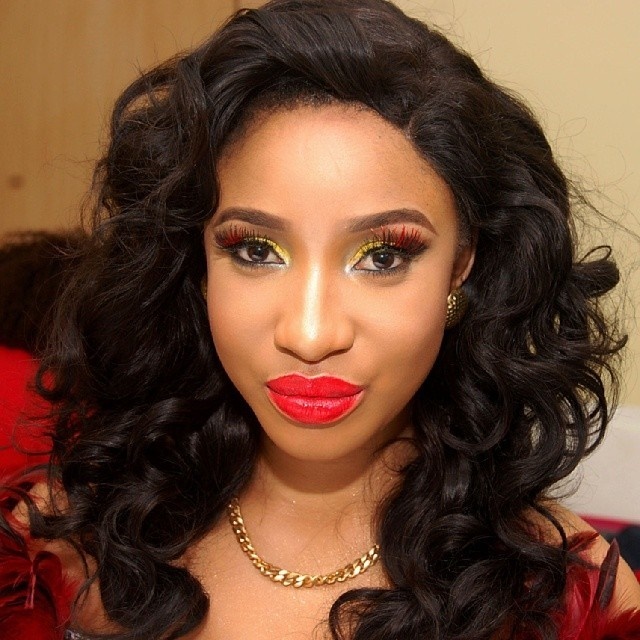 In a post to celebrate women's day, Tonto Dikeh gave another hint of her relationship status. In an Instagram post she stated "I love a man and I submit to him too"
Looks like Tonto Dikeh might have a man in life. First in February she announced that her ovaries are singing, so she is praying for a baby girl. Making it seem that the film star, has been playing 'away match' and she is pregnant. In a post to celebrate women's day, she gave another hint of her relationship status. Increasing the possibilities that she has indeed, been dancing with the one eyed snake 'under the duvet'. "I AM A WOMAN. I AM BOLD. I AM SMART. I AM BRAVE. I AM POWERFUL. I AM BRILLIANT. I AM COURAGEOUS. I AM PERFECT IN MY OWN WAY. I EXUDE GRACE. I AM SOFT YET SOOO STRONG. I AM A FORCE TO RECKON. I AM A BRAND. I AM A MOTHER. "I AM EDUCATED. I AM AMBITIOUS. I AM A CAREER WOMAN. I AM A BOSS. I MAKE MY OWN MONEY. I LOVE TO HELP OTHERS. I SPEAK AND STAND WITH AUTHORITY. I LOVE A MAN AND I SUBMIT TO HIM TOO. I AM A WOMAN. I AM KING TONTO #KINGTONTO #MAMAKING #RADICAL4JESUS #HAPPYWOMENSDAY," she wrote. We are curious to know this new man after overcoming a controversial divorce with her ex-husband, Oladunni Churchill.